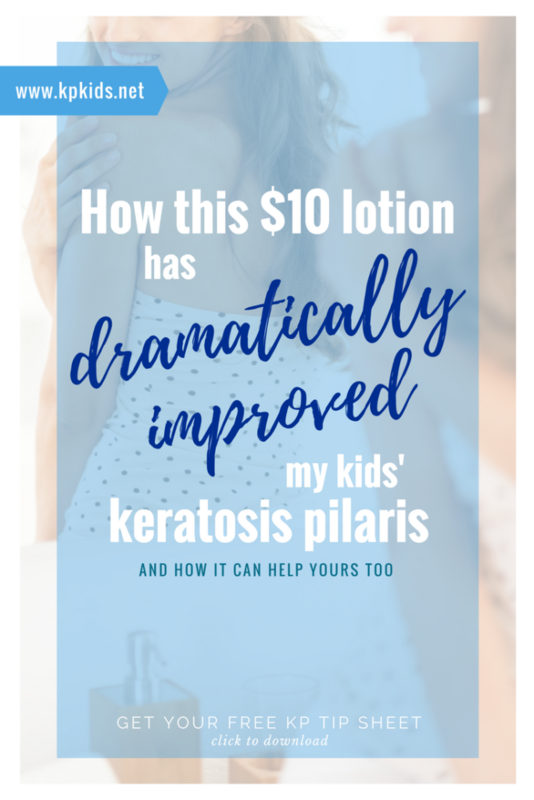 After having three children in nine years, each with their own sensitive skin issues, I began to believe that I had tried every product, treatment and method available to clear up my kids’ skin (maybe not all, but close). Our children have dealt with keratosis pilaris, eczema, lichen striatus and extremely dry skin for years and finding a solution has been been exhausting. So when I found a lotion that made a noticeable difference, I just had to share it with you. Keeping their skin healthy, moisturized and smooth has been an uphill battle during their early years and we’ve certainly tried our fair share of drugstore and prescription treatments, scrub mitts and brushes, and diet changes. While we have found a few favorite products that have brought some improvement to the appearance and feel of their skin, like Buf-Puf Reusable Facial Sponges and the Clarisonic Cleansing Brush, these products require some gentle exfoliation and scrubbing of their skin (which at times can already be irritated). And when you’re dealing with a skin problem that usually affects half their body, the process of exfoliating their entire body (or yours, if you’re a KP sufferer too) can be time-consuming for those with “chicken skin”. But there’s hope. We’ve begun using a lotion every day in our home that is making a huge difference in the look, feel and health of our kids’ skin. So what has made the biggest difference? Fast-forward 3 months of (almost) daily use of our new favorite lotion, CeraVé Renewing SA Lotion, and I’m really liking the results that I see. 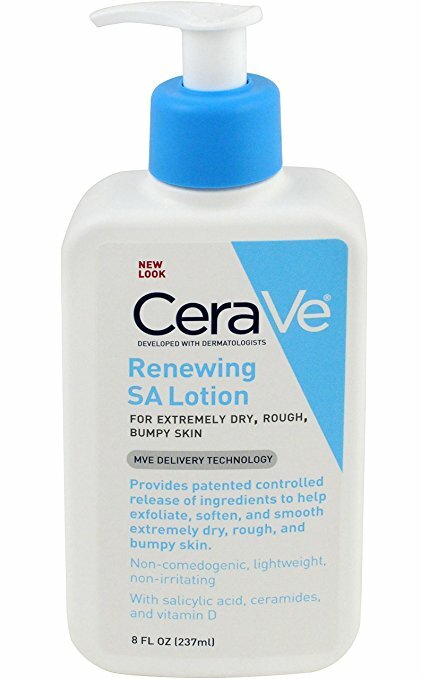 CeraVé Renewing SA Lotion contains salicylic acid to loosen and release those dead skin cells, and hyaluronic acid to draw in and retain moisture for longer. It has a light feel to it without being greasy (which kids hate, by the way) and it absorbs quickly (always a bonus, if you’re trying to dress a toddler). This $10 lotion is our new go-to moisturizer that I have stashed in every bathroom. We use it (almost) daily to keep the kids’ skin smooth and soft, especially in those extremely dry, rough skin patches like the upper arms, thighs and cheeks. This could honestly be the best thing that has happened to their “bumpy” arms and legs ever. Happy kids = happy mama. 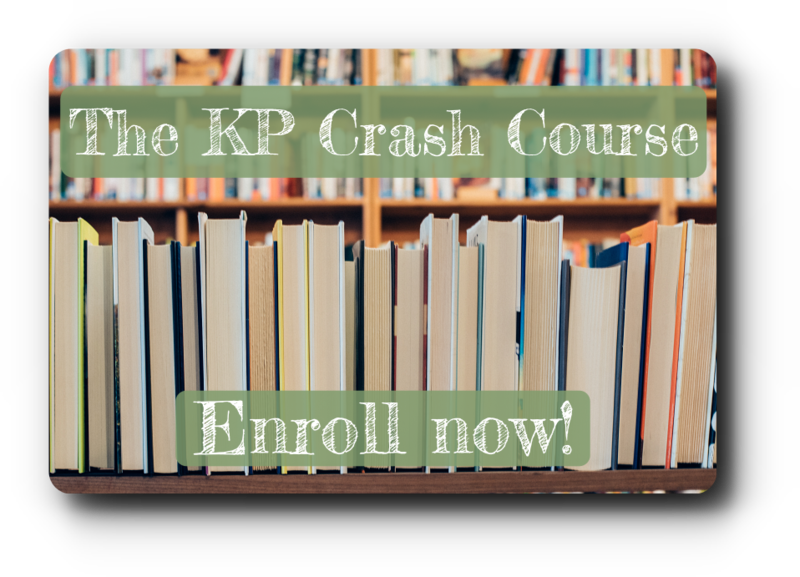 See more KP products we use in our home. Thank you for this lotion recommendation! This brand helped heal my eczema elbows.